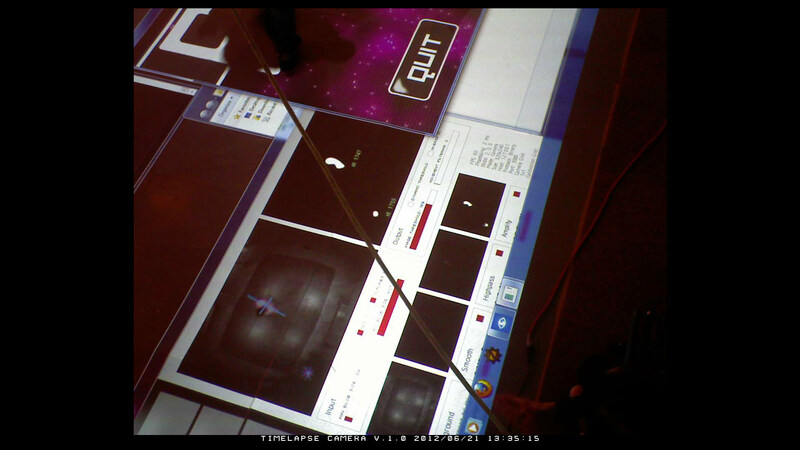 A motion tracking interactive developed in cooperation with the amazing DigiPen Institute of Technology. A CPU based custom software system tracks visitors via ceiling mounted modified IR cameras and presents them with obstacles and goals. 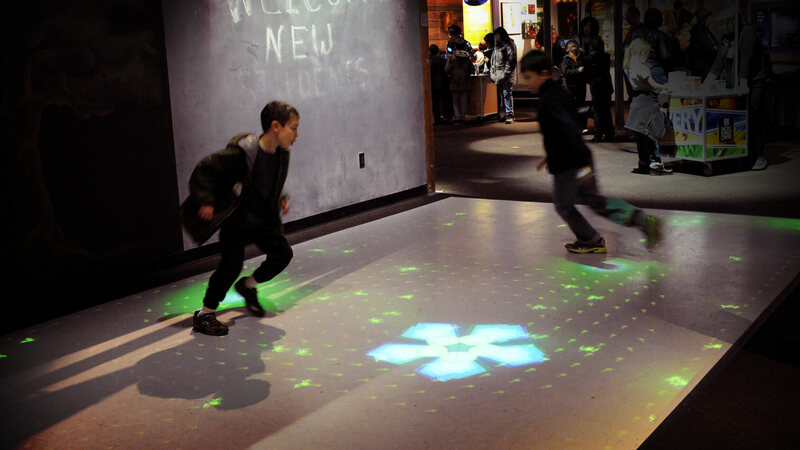 Colorful animations are projected onto a durable & reflective 10 x 20′ floor. The goal of this interactive was to encourage fun collaborative activity via puzzle solving, group play and a few hidden surprises. 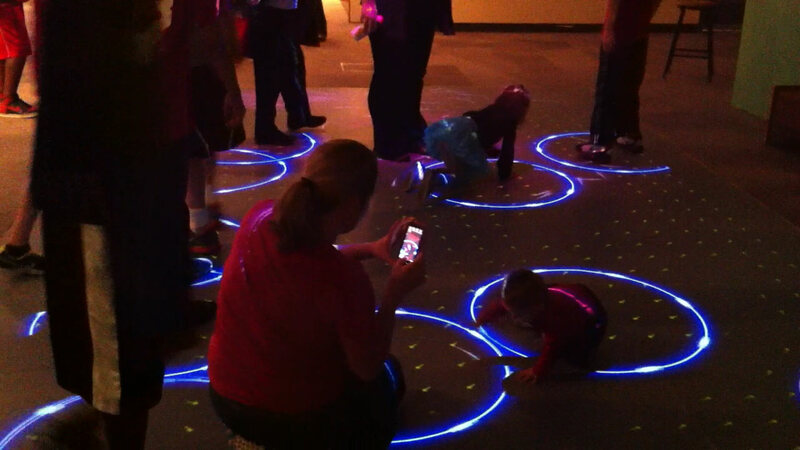 The software adjusts activities and visuals based on how many people are tracked on the floor at once – more people = different objectives than less people. 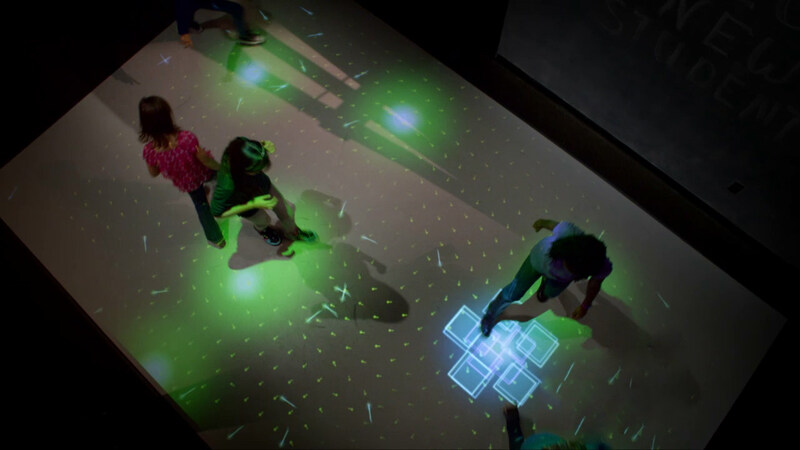 This interactive was developed on site and publicly prototyped over the course of 6 months before installation and launch. DigiPen ZeroEngine (http://zero.digipen.edu/), CCV. Modified digital cameras, IR throw lights & high lumen dual bulb ceiling mounted projector, custom reflective floor.